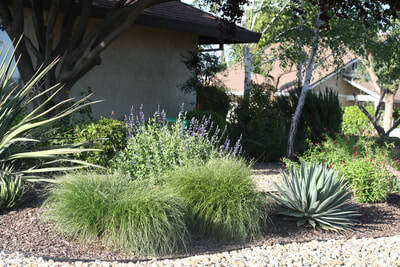 This newly converted corner lot was inspired by New Mexico's landscapes. 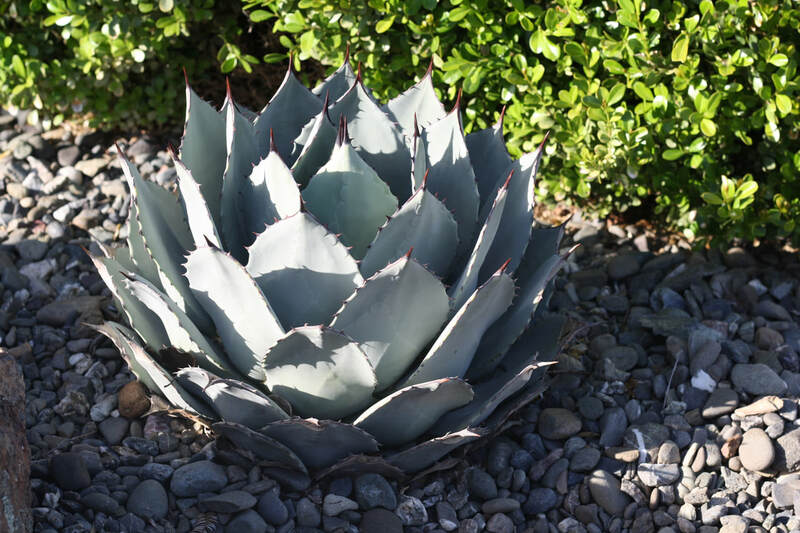 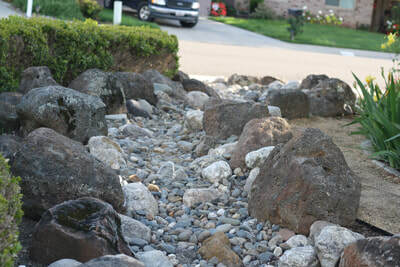 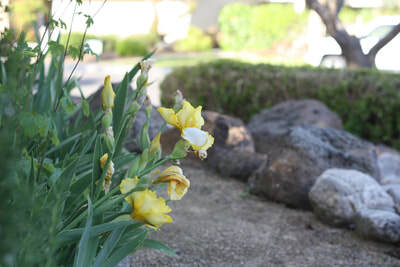 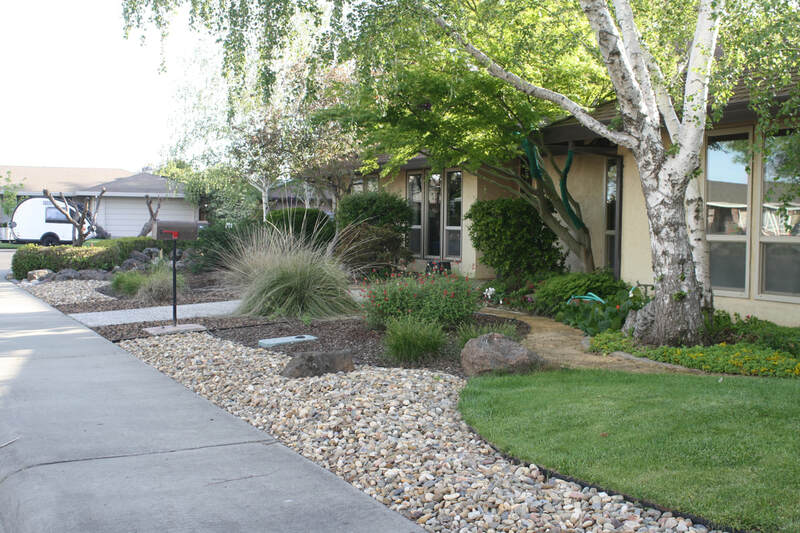 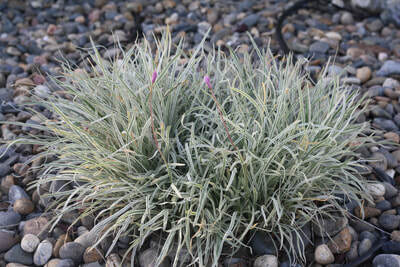 It incorporates the desert feel with a mixture of rock, mulch, dry creek bed, and grasses. 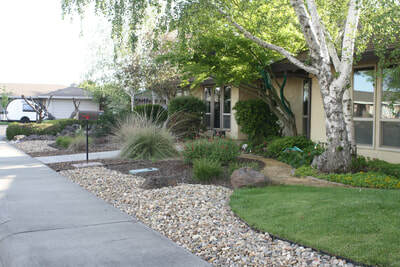 The homeowners did leave a small patch of grass which they will soon replace with buffalo grass.